Chris Cice is a Seattle-based pilot, and when he read about Ben Pierce’s journey, he wanted to help. Ben is a 9-year-old boy from Texas who is going blind because of a rare health condition. The boy recently created a visual bucket list of all the things he’d like to see before he loses his vision. The list included; New York, The Grand Canyon and The Northern Lights. The trip to Fairbanks, Alaska, to see the Northern Lights is long and would be costly for a big family like Ben’s, but Captain Cice thought he could help. “I could only imagine what Ben was going through and his family,” Cice told ABC13. “It makes you want to reach as far as you can to make something happen. 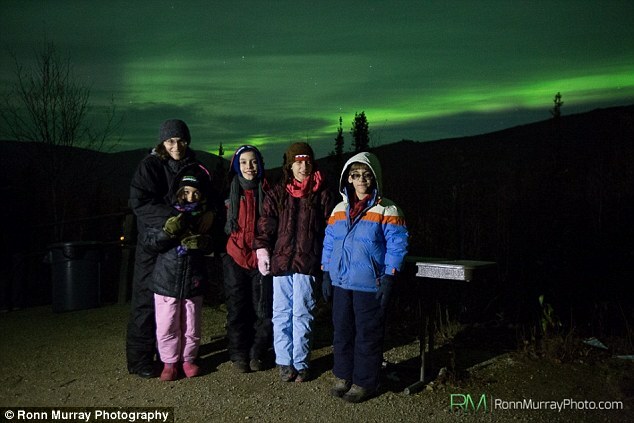 When I brought this idea to Alaska Airlines, I could’ve never imagined that it turned out the way it did.” Cice took Ben and his family to Fairbanks to see the lights. As a pilot, Cice said he has seen the Northern Lights before, but seeing it through the eyes of a child gave him new perspective. “I see it often enough that when I do see it – wow – it’s beautiful … but to be able to see it and then never see it again … that’s a memory I don’t think we can replace,” he said. By the end of the trip, Ben’s mother told “Captain Chris,” as Ben calls him, he should consider himself part of the family. “I’m anxious to look back in 10, 15 years and watch him grow and watch what those visual memories have done for him as he ages,” Cice said. 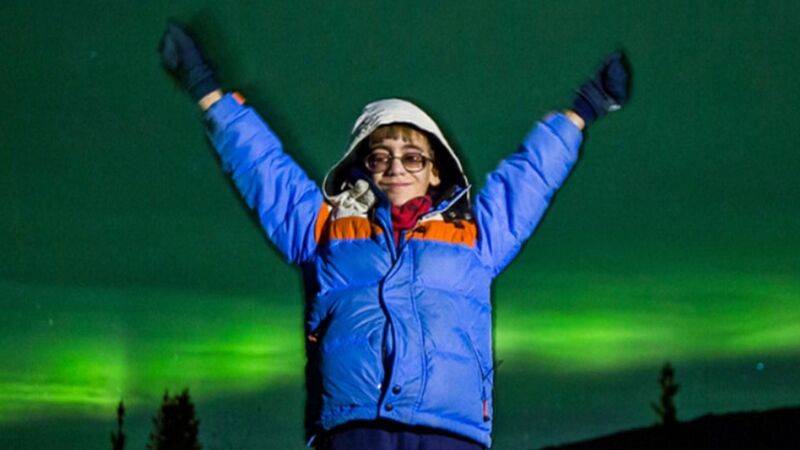 The photo of Ben Pierce with his arm’s raised in front of the northern lights is via Ronn Murray Photography & Tours. Thank you for bringing these wonderful stories of good people to our attention. This story gives rise to reflection and knocks the emotional windows of my soul. Warmth of the kind hearts realized the Ben’s big dream. I want to send my good wish to Ben and everyone who has visual problems. I want you to believe in the existence of miracles and live the joy of seeing the world again. In the forest of trial the search of lost lights is life. Everyone searches something because the exultation of finding becomes consolation to the pain of losing. Your road is lengthening as long as you walk. I wish in roundabout you find your path, burn the lights of your soul in darkness. The colourful festivity of the northern lights will beam in the variegated lamps of your recollections. You’ll rekindle the fire of your faith and from the world’s noise taking its uncommon silence. Continue to travel! Remember mountaineer Erik Weihenmayer, who though his missing eyesight travels around the world, on rising the downhill vertexes of the snowclad mountains. The unbending will of his brave soul inspires a human on passing the borderline of impossible. A lot of people, who have visual problems, create jewels of art which complete the treasures of the worldwide culture. Finding one’s light of soul a human walks with confidence and reaches to the unruffled peace of the happy life.